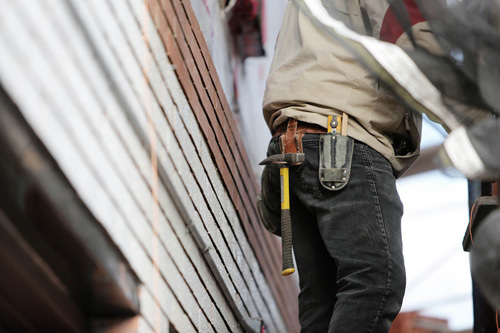 Let the professionals at Averie Construction handle all your commercial construction needs. We have the experience and training to get the job done right. For business owners or entrepreneurs, it goes without saying that location and appearance are two key factors in the success of the endeavor. From finding the perfect spot to creating a space that is appealing to potential customers, there’s a lot that goes into guaranteeing a positive long term outcome for a business. Thankfully, Averie Construction is here to help business owners along the way. Whether you’re an entrepreneur looking for the perfect space to get your business off the ground, or you’ve been around for a while and need some more space to accommodate your growing staff, Averie Construction has the skills and experience you’re looking for. At Averie Construction, we understand how important it is to have an accessible location for your business. After all, we’re business owners too! With this in mind, Averie Construction ensures the fastest turnaround time on projects without sacrificing quality, all with the goal of minimizing the impact our work has on your business. At Averie Construction we strive to continually strengthen our reputation as a skilled commercial construction company, one project at a time. We dedicate ourselves fully to each and every project entrusted to us, resulting in commercial spaces that are beautifully built and last for a lifetime. For a small company, Averie Construction has worked on some big projects; thanks to our superior project management skills we are capable of tackling even the most ambitious of commercial construction projects. At the same time, we’re no strangers to those with more conservative square footage needs or smaller budgets; if you’re just getting started with your business we’d be happy to work with you on a project that’s tailor made for you. No matter if you’re an established business is in the market for the perfect space to expand to, or you’ve just trademarked your company name and are looking for the ideal spot for your first office, Averie Construction can help. To set up a meeting with a member of our team, or to receive a quote for our services, give Averie Construction a call today.